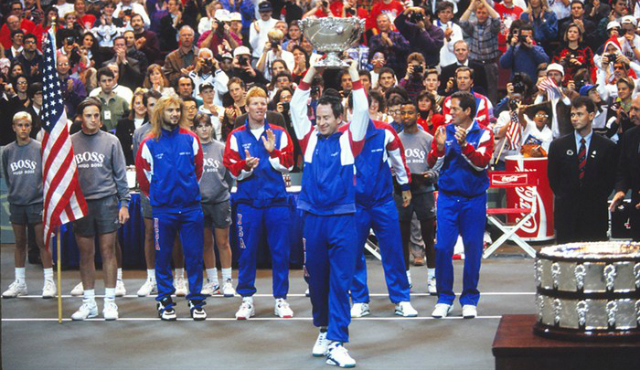 The countdown to the Davis Cup final has begun, follow our Davis Cup final coverage on Tennis Buzz! Le compte à rebours a commencé, suivez toute l’actualité de la finale de Coupe Davis sur Tennis Buzz! 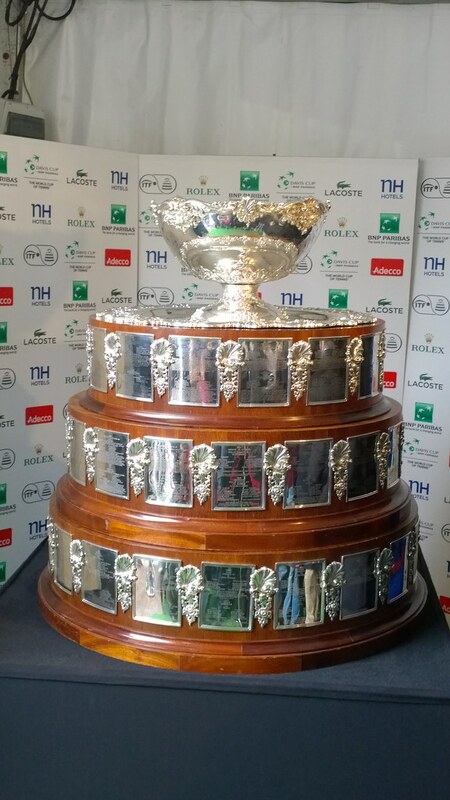 The Davis Cup was exposed in the Tennis Village in Lille today. Here are a few pics. Wawrinka and Federer arrived in Lille yesterday: by Eurostar for Stan, by private jet for Roger. Really disapointing behaviour by both players who avoided their fans who waited for several hours in front of the Hermitage Gantois and entered their hotel through the kitchen door! 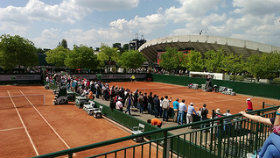 French and Swiss players practiced for the first time today on the clay court of Stade Pierre Mauroy, see video below. 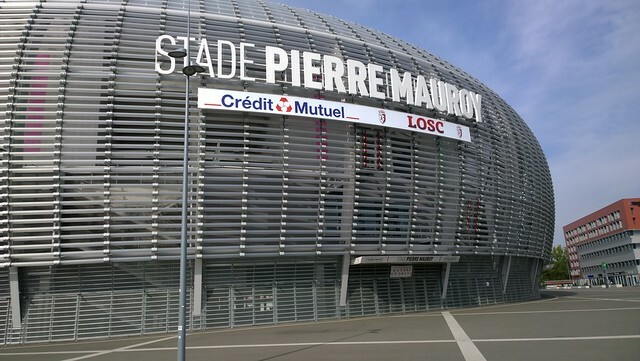 Français et Suisses se sont entraînés pour la 1ère fois sur la terre battue du Stade Pierre Mauroy. Lots of talk about Federer’s withdrawal and alleged dispute with Wawrinka in the press today. They’re coming! 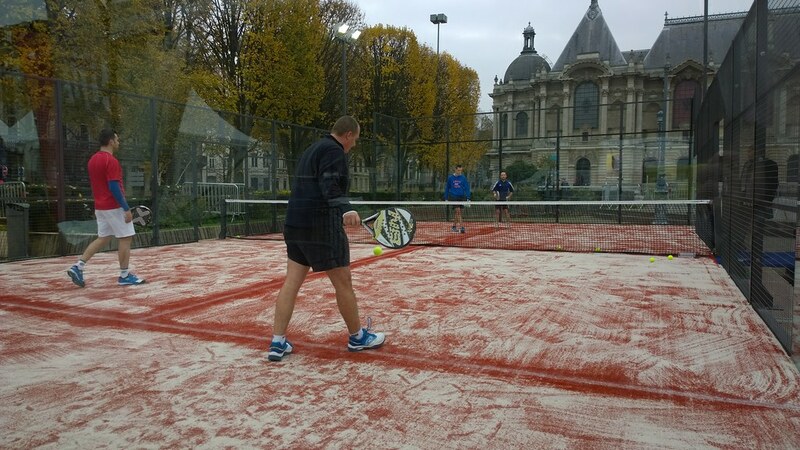 The French Davis Cup team is coming to Lille this evening, they will stay at the Hôtel Couvent des Minimes. The Swiss come tomorrow evening, they stay at l’Hermitage Gantois, a former 15th Century hospice that had been coverted into a 5-star hotel. Meanwhile in London, Roger Federer pulls out of his final against Novak Djokovic. 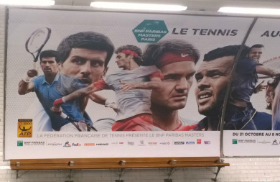 Pendant ce temps-là, à Londres, Roger Federer, blessé au dos, déclare forfait pour la finale des Masters face à Novak Djokovic. 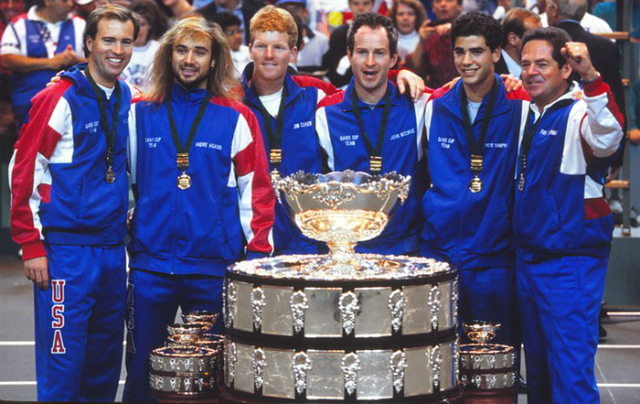 Today we have a look back at the 1992 Davis Cup lost by Switzerland and at the mythic 1991 final won by Henri Leconte and Guy Forget over the american dream team of Agassi, Sampras and Flach-Seguso. Seen in the tramway today, a poster urging people to use public transport to attend the matches. 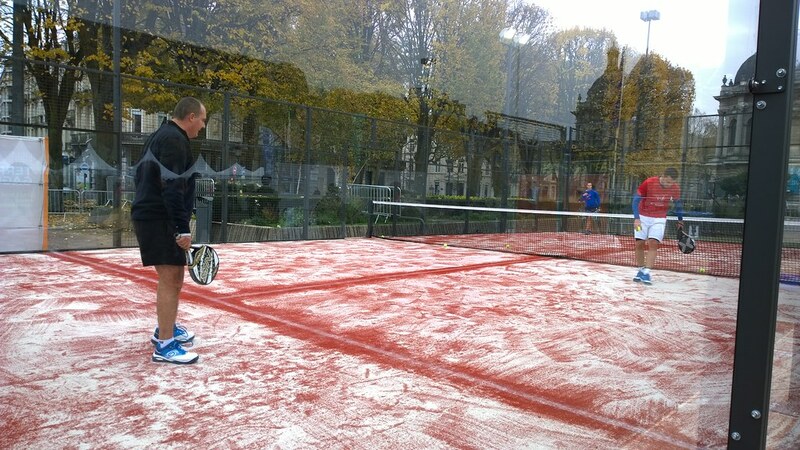 While the French Davis Cup team is training in Bordeaux and Federer and Wawrinka are battling in the London ATP finals, the team of Roland Garros head groundsman Bruno Slastan is preparing clay courts at Stade Pierre Mauroy. 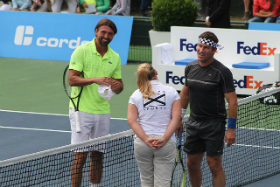 Pendant que les Français sont en stage à Bordeaux et que Federer et Wawrinka bataillent au Masters de Londres, l’équipe de Bruno Slastan, responsable des courts à Roland Garros, commence la préparation des courts en terre battue au Stade Pierre Mauroy. Autograph session with kids for the French Davis Cup team in Bordeaux. 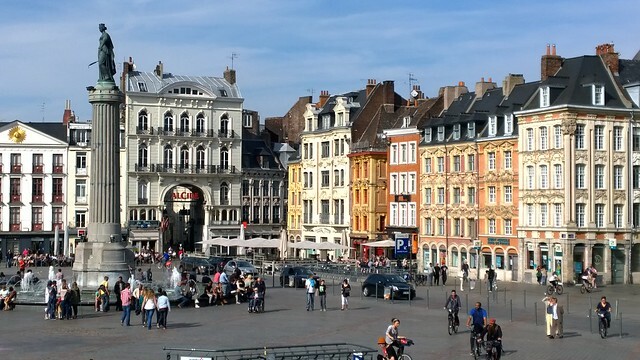 No autograph session in sight for Les Bleus in Lille, but a few events are planned. 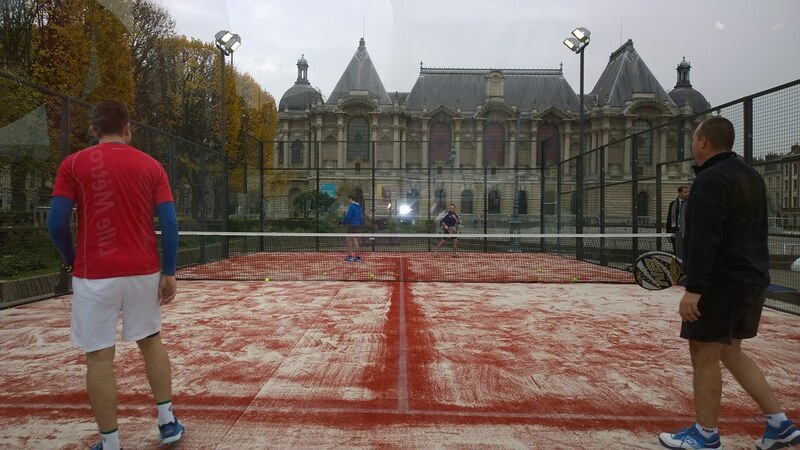 The Tennis Village, Place de la République, aims to recreate the Davis Cup atmosphere in the center of Lille, to allow as many people as possible to participate in the event: mini-tennis, competitions, quizzes.. The matches will also be broadcast on a giant screen. 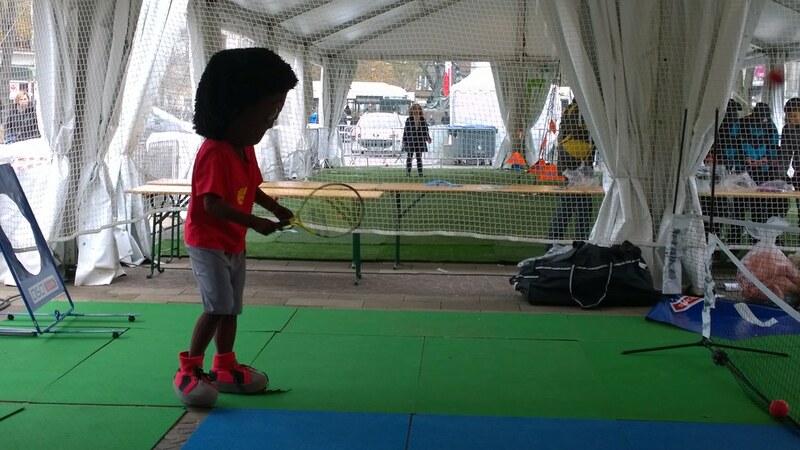 Pas de séance d’autographes prévue à Lille, mais des animations seront organisées Place de la République, pour essayer de recréer l’ambiance Coupe Davis dans le centre de Lille: mini-tennis, concours, quizz… Et bien sûr, les matches seront retransmis sur écran géant. Captain Arnaud Clément picks Jo-Wilfried Tsonga, Gael Monfils, Richard Gasquet and Julien Benneteau to play the final next week. 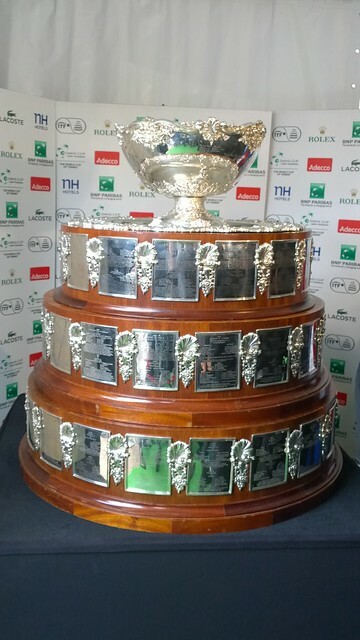 La sélection officielle de @arnaudclement pour la finale de @DavisCup #FraSui : #Tsonga #Gasquet #Monfils et #Benneteau. #Simon 5e homme. 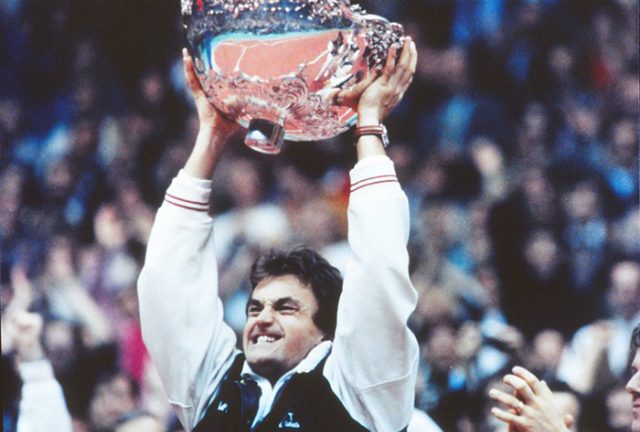 SWI or FRA who will win the Davis Cup final? 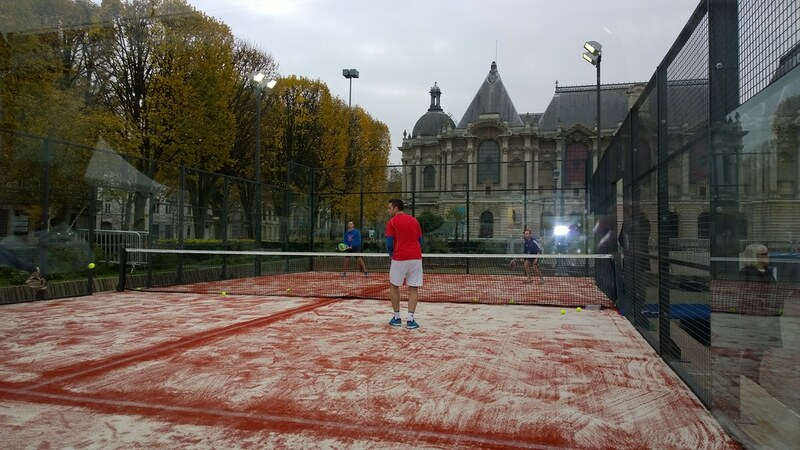 First training day in Bordeaux for Richard Gasquet, Jo-Wilfried Tsonga, Gael Monfils and Gilles Simon. Début du stage d’entraînement à Bordeaux pour Richard Gasquet, Jo-Wilfried Tsonga, Gael Monfils and Gilles Simon. Sans surprise, le capitaine suisse Severin Lüthi a sélectionné les mêmes joueurs que pour la demi-finale contre l’Italie: Roger Federer, Stan Wawrinka, Marco Chiudinelli et Michael Lammer. Just a few weeks to go to the much awaited final between France and Switzerland! Plus que quelques semaines avant la finale tant attendue entre la France et la Suisse! 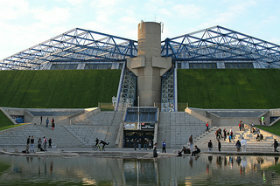 Behind the scenes of the Stade Pierre Mauroy that will host the final, read my report here. Visite guidée du Stade Pierre Mauroy qui va accueillir la finale de Coupe Davis, lisez mon reportage ici. 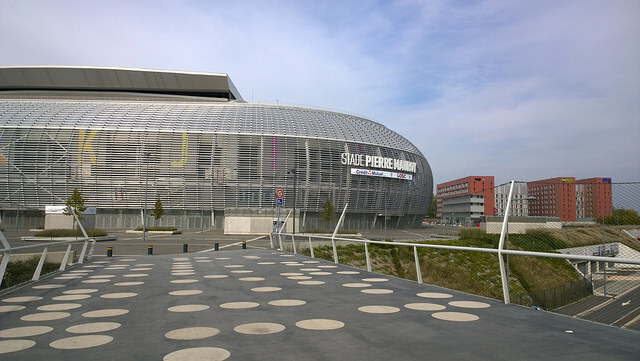 Bienvenue à Lille for the Davis Cup final! 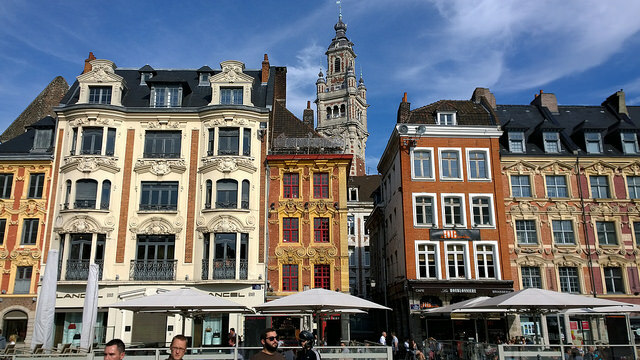 All you need to know if you plan to attend the final: how to get to Lille, buy some tickets and more. 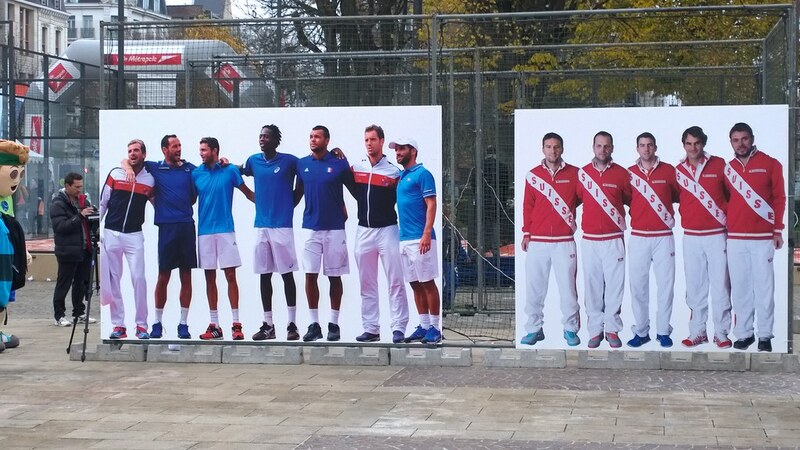 A lire si vous envisagez d’assister à la finale de Coupe Davis: Bienvenue à Lille for the Davis Cup final! 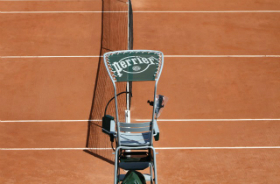 The French Tennis Federation announced today the Davis Cup final between France and Switzerland will be staged on clay. Do you really know what clay is made of? Finale de #DavisCup au Stade Pierre-Mauroy : la surface retenue par la #TeamFranceTennis pour #FRASUI est la terre battue. 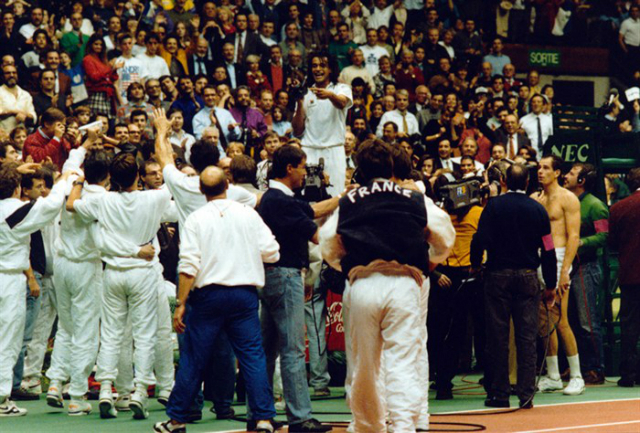 Les Français ont choisi la surface sur laquelle sera jouée la finale de Coupe Davis entre la France et la Suisse, ce sera la terre battue (indoor bien sûr). Découvrez ici ce qu’est réellement la terre battue (article en anglais). 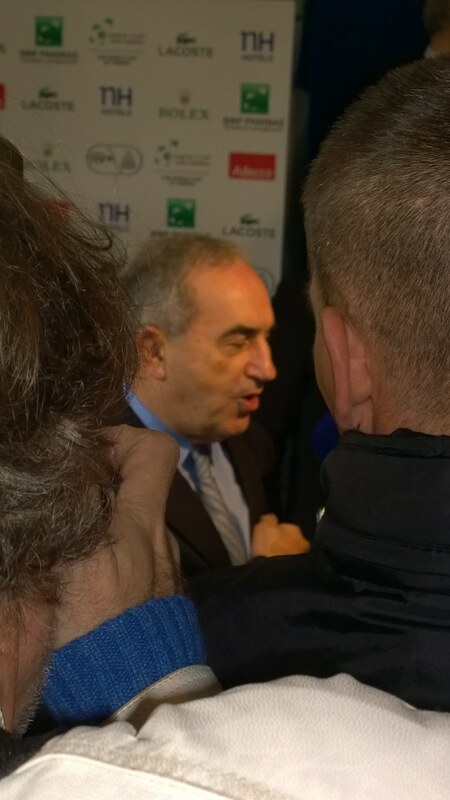 It is now official, the Davis Cup final France vs Switzerland will be played in Lille, my hometown! 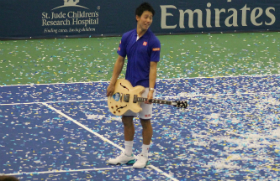 So stay tuned for news, photos and exclusive coverage on Tennis Buzz! C’est officiel: Lille (la ville où j’habite) accueillera la finale de Coupe Davis entre la France et la Suisse! 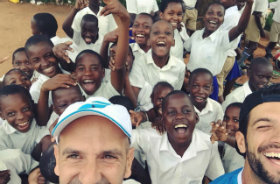 Suivez toute l’actualité de la finale sur Tennis Buzz! A few months before the 2012 Olympics in London, David Ken and adidas have done a series of portraits of the brand’s ambassador athletes. Known for his advertising work, David Ken launched in 2009 a photo project called LOL Project, with his partner William Lafarge. The idea was to capture a laugh, a total time of letting go, he executed with more than 2,000 people in France. 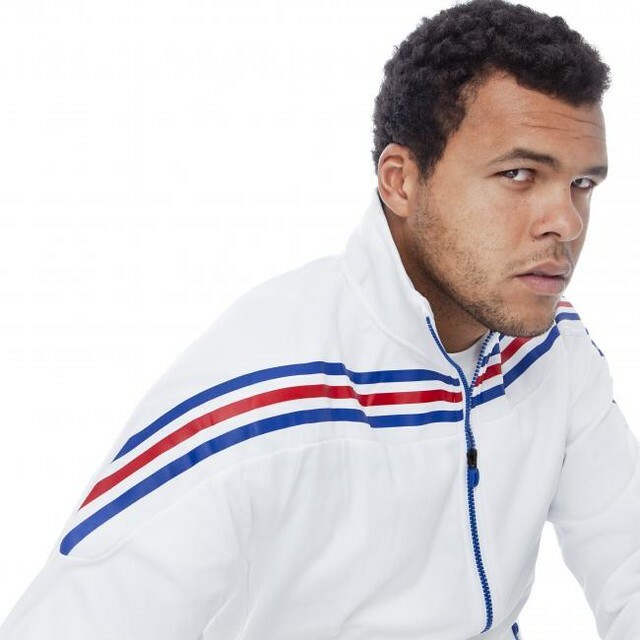 For adidas, he shot a series of portraits in studio and outside of Nikola Karabatic, Jo-Wilfried Tsonga, Teddy Riner, Alexis Vastine, Mahiedine Mekhissi, Gwladys Epangue, Maureen Nisima, Gaëtane Thiney, Arnaud Assoumani and Assia El Hannouni. David Ken asked them to interpret the concentration, the determination to win and the letting go through their experiences and what they’ve been through, with the London Olympics in mind! 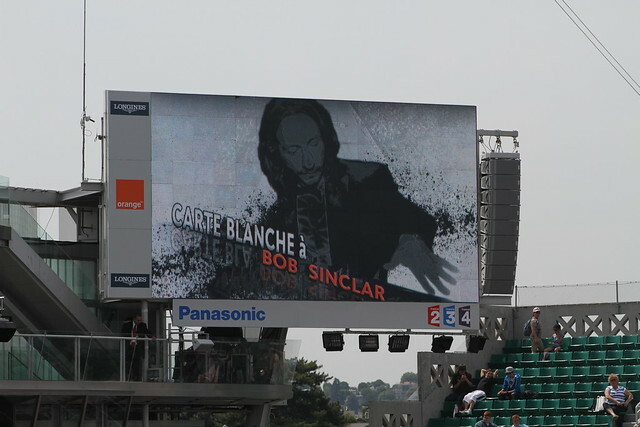 Famous French DJ Bob Sinclar was the special guest at “Children’s Day at Roland Garros” on Saturday 21 May. 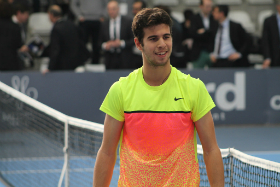 For over two hours, the court Philippe Chatrier turned into a giant “musical creation” of tennis matches! 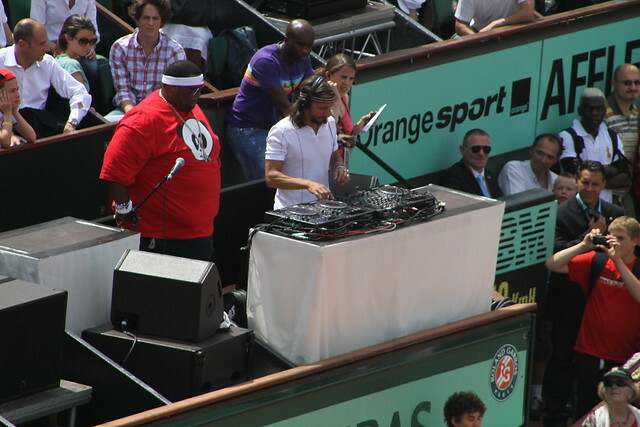 Rafael Nadal, Jo-Wilfried Tsonga, Arnaud Clément, Arevane Rezai, Amélie Mauresmo, special guest Teddy Riner and many more, joined forces to entertain thousands of families and children. 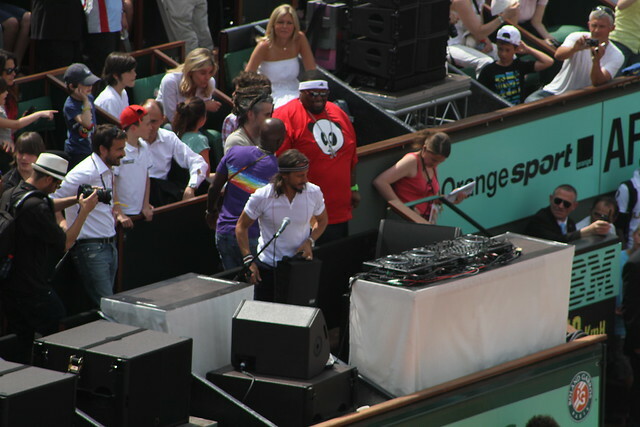 Bob Sinclar, a tennis aficionada, also showed off his skills opposite Michaël Llodra and Novak Djokovic. Proceeds of the event will go to Yannick Noah’s “Fête le Mur” and “Tennis en liberté”, led by Isabelle Demongeot.